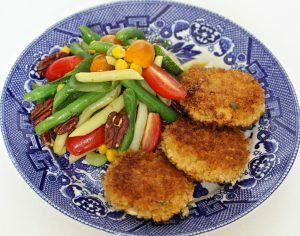 For the Crab Cakes: In a large mixing bowl, place the crab meat, sour cream, mozzarella, mayonnaise, parsley and scallions. Add the zest and juice of one lemon, mustard, Worcestershire sauce and tabasco sauce. Form into 2 ounce crab balls and set aside. 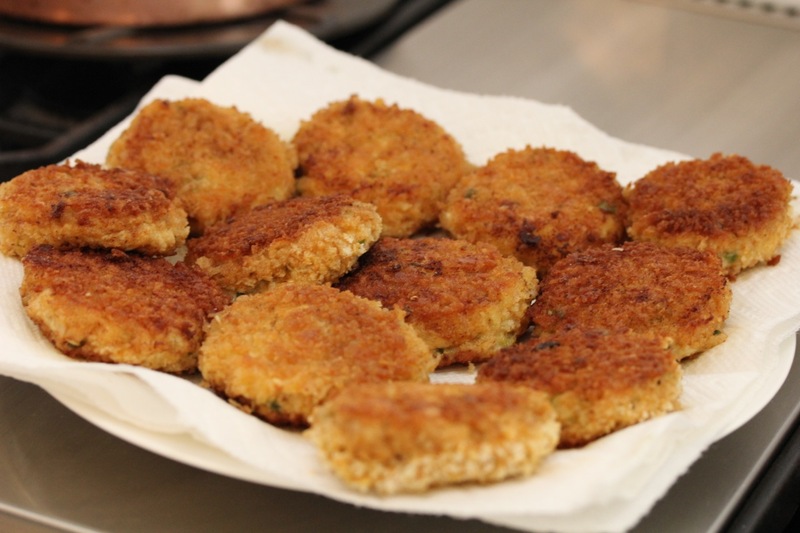 Coat the crab balls in flour, then egg, then breadcrumbs. 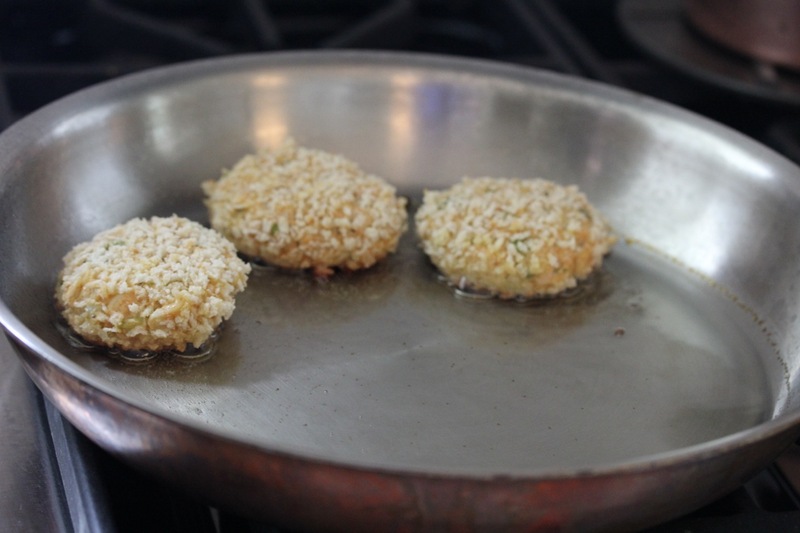 Form into ¾ inch thick patties and set aside. Shallow fry the patties in 350 degree oil for about 3 minutes per side.